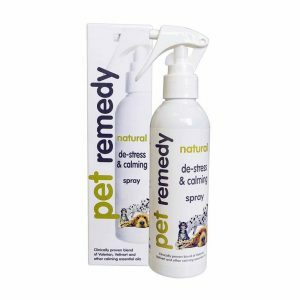 Pet Remedy calming products, made from natural ingredients, work to help calm the nerves of anxious or stressed pets. Pet Remedy works alongside the brain’s natural “messengers” to help calm the nerves of stressed or anxious pets. 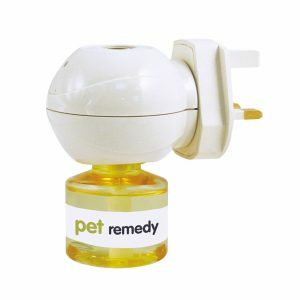 This pack contains one plug-in diffuser and one 40ml bottle of Pet Remedy. The slow release technology of the diffuser will deliver up to 8 weeks treatment. 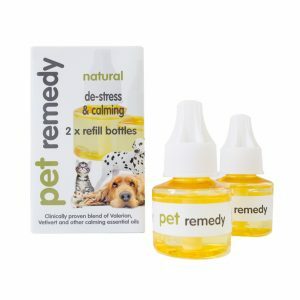 This pack contains 2 x 40ml bottles of Pet Remedy.